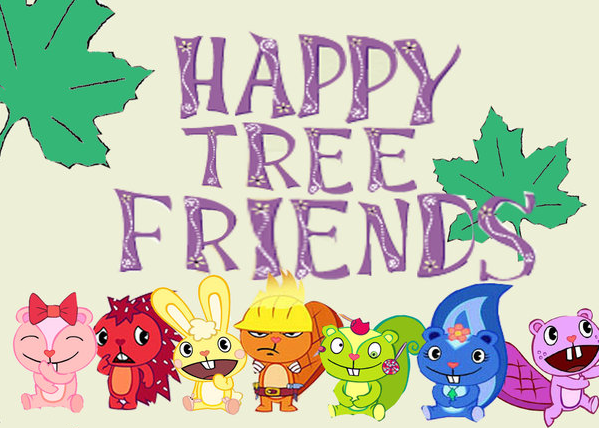 The training course “Happy tree friends” will last for 7 days (excluding travel) and host 29 participants that are motivated to explore cultural diversity, attitude, equality and cultural issues. This training course is hosted by Hnutí Brontosaurus (Czech Republic) and is organised in partnership with other 8 organisations: Asociación Biodiversa (Spain), Ecodom (Belarus), Green evolution (Romania), Gutta-club (Moldova), Raplection (Croatia), Center for education and development (Macedonia), Vedogiovane (Italy) and FYCA (Armenia). How to make a tree happy? Share information on how to plant a tree, care about it or protect it. Practically and interactively. Every single tree is important! International training course dedicated to the protection and care of trees. The project is organized to share the knowledge and experience between the organizations who are working in the field of ecology and nature protection and those interested in the topic. Through this training we want to develop the practice of environmental education for youth, non-formal methods of environmental education and at the same time to add value of practical experience. The training course will use interactive methods, it will be full of discussions, lectures and especially practical workshops about arboricultural and dendrologic work lead by experienced lecturers. One of the most interesting moments will be sharing of legislative information about trees and woody plants in different countries of EU so participants can get informed how it’s possible to protect the plants which don’t grow in the forest. The training is designed not only for youth workers with need to develop their competences in the field of environmental education, but also for young people who would like to be active in the field of nature protection. Participants will be also able to use that information later in their home countries for example to present allegations. In the programme there is also space for sharing of good practice in the field of nature protection. Venue: Ekocentrum Trkmanka, Velké Pavlovice, South Moravian region, Czech Republic. The training course will be implemented in the frame of the Erasmus+ Programme of the European Commission. The accommodation, food, visa fees and materials will be covered fully by the grant. Insurance is obligatory and should be arranged and covered by each participant. According to rules of the Erasmus+ Programme, the travel expenses will be covered up to 275 EUR per person. Travel costs will be reimbursed to all participants after submitting necessary travel documents (original tickets/invoices + boarding passes) and after filling in the form in the Mobility tool. You will be required to contribute to Biodiversa with 20 EUR towards the management costs. As the traning course will be carried out in English, participants should be able to communicate fluently in English. Why do you want to participate in this training course? What do you expect to learn/gain from your participation? What experience/s related to nature protection can you share during your participation?